This tutorial is an introduction for “newbies” on how to install Neo4J, configure, create a database from commands,load data, etc. Rather than innudating you with facts and conceptual words to remember, commentary here is provided along the way after you take some action, step-by-step. Like a guided walking tour. So you learn by doing. NOTE: Nepture is Amazon graph database cloud service. Graph databases provide the latest in the evolution of data storage mechanisms to handle complexity. The two nodes (data records) are labeled of entity type “Person”. The arrow in the relationship line points from the “CHILD_OF” in the direction of the parent. A property of this relationship (named “Created”) is when the relationship was established (in “2002”). Third-party add-ons can add a GUID to each entity. 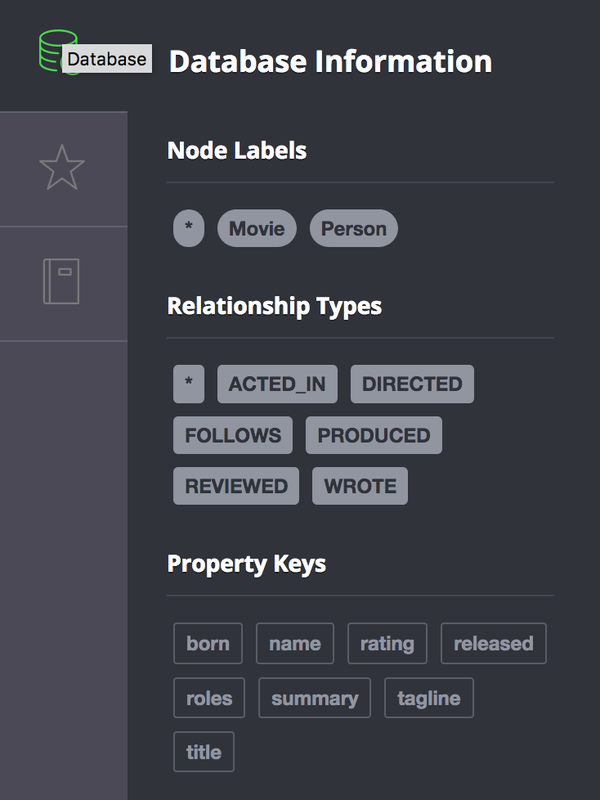 PLUG: The ability to attach labels to relationships can be used to narrow searches. This is what makes graph database handle complexity. The advantage of Neo4j appears when we work with complex indirect relationships. The approach of graph databases build in “meaning” within data. This has proven useful for use cases such as recommendations, network/IT analysis, fraud detection, Internet of Things(IoT), and more. With Neo4j, one can “travese” a graph with arbitrary hops such as “similar” without the need to build foreign key joins or bridge tables. SQL is hard due to the need for joins and “de-normalized” physical structures. SQL makes it difficult to answer questions that were not already expected ahead of time. requiring refactoring. PLUG: Moreover, as more relationships are added in Neo4j, performance is not degraded with joins. This ranking lists Neo4j as the most popular graph database. 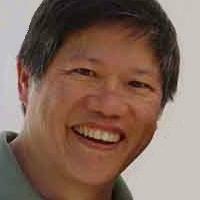 @JanusGraph ‏ JanusGraph (at http://janusgraph.org/) was open-sourced in 2017 under The Linux Foundation, with participants from Google, Hortonworks, IBM, Amazon, GRAKN.AI, Expero Labs, etc. PROTIP: If you value your data, don’t install. Instead of hacking your way, pay a SaaS vendor such as GraphStory.com. Install Java JDK, since Neo4j is written in Java. PROTIP: If you’re installing on your laptop, I recommend use of Homebrew for its ease-of-use, even though its version can be behind the official website. PROTIP: The Summary response provides a hint of where Neo4j’s binary is located. Now skip to the Invoke section. The Introduction to Graph Databases and Neo4j 2h video course by Microsoft MVP Roland Guijt (@RolandGuijt, rmgsolutions.nl) was released February 5, 2015 while using Neo4j version 2.1.3 on Windows. So the UI has changed. Find the link for the version you want to use. Click “Open” to “Are you sure you want to open it?”. Login using your email or through social media. NOTE: It says Java 8 is downloaded if it doesn’t exist, but I got errors. Set the $NEO4J environment variable to point to where Neo4j is installed. See /usr/local/Cellar/neo4j/3.3.0/libexec/logs/neo4j.log for current status. Find text “dbms.allow_upgrade=” within the file. PROTIP: Alternately, rather than doing the above by hand, I recommend that you create and store in GitHub a shell script that does the above, then execute it a single command. -o (lowercase o) the result will be saved in the filename provided in the command line. Commands can be entered in the Editor field at the top which begins with a dollar sign in gray. Click image for larger image pop-up. Click the gear icon near the lower-left corner among menu icons. Click the icon that looks like a book (previously this was an i icon for information). Notice that the commands now have different colors. To submit the command, press Enter or click the arrow icon at the upper-right corner. The page says for multi-line commands to press Shift+Enter to enter multi-line mode, then press Ctrl+Enter instead of the arrow icon. Scroll down the page to see that the new response is added above the previous frame, as in a stack as a stream. Click the gray X to dismiss a content frame. PROTIP: Execute this on a schedule to ensure that more space is allocated before need. The Enterprise edition of ??? Notice in the sample console image that the password is blank. 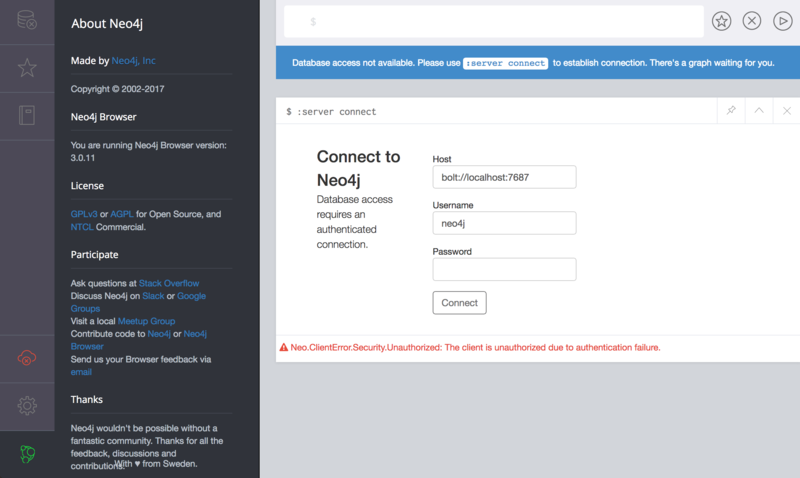 In the Password field, type “neo4j” (lower case). Type your own password. Twice. Note in the response your user name is “neo4j”. 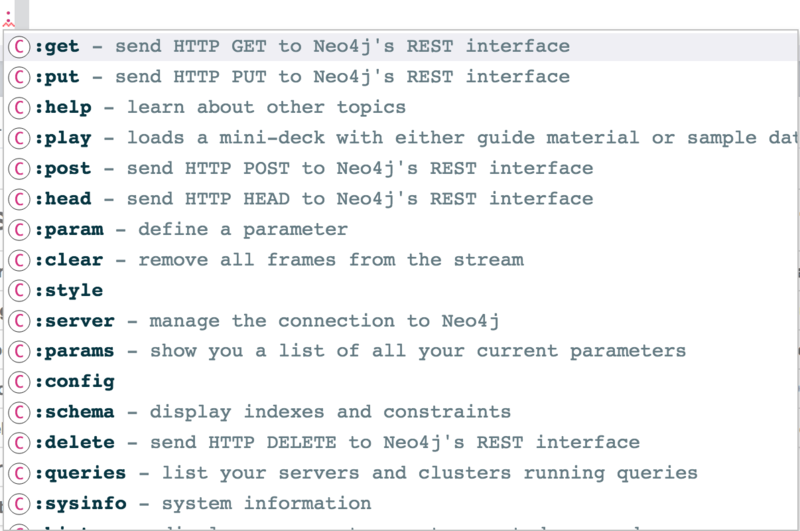 Neo4j comes with instructions to create two databases from the command line. Click “Write Code” and press Enter to invoke :play write code. The “Create” pane appears with code that begins with command “CREATE”. Click the code for it to be posted in the command line. Click the full screen icon. BLAH: Drag and drop items to arrange the graph to your asthetic taste. This is like ER (Entity-Relation) diagrams for SQL databases. PROTIP: Neo4J data is stored the same way as illustrated by the data model, whereas with SQL data is stored in separate tables joined together. Click on a colored dot (The Polar Express). Click the “X” in the wheel to delete the node. PLUG: Thus, Neo4j is naturally adaptive. Entities can be added dynamically, without schema migrations required in SQL databases. PROTIP: Relations are not “first-class citizens” in a relational database. But they are in graph databases. Open the Northwind database which Microsoft provides with its SQL database. This is a more complex database with data common to business accounting. Neo4j uses “index read adjacency” to make itself quicker to traverse nodes instead of slower index lookups in SQL. PROTIP: Cypher keywords ENDS, WITH, and CONTAINS are, as of v3, index-backed. Now you can backup and dump the database. PROTIP: In the Neo4j world, a physical database consists of files stored under a folder named with a .db suffix. A “graph” references a physical Neo4j database that stores data. see https://neo4j.com/docs/operations-manual/3.2/tools/dump-load/ for the various attributes to add. Right-click to Save Link as… (download) the Jim Webber’s Doctor Who Data Set drwho.zip file to your Downloads folder. Unzip the file to create folder drwho. Look into the folder index. PROTIP: Neo4j uses Lucene to index, same as ElasticSearch and others. Recommendations can be made. You like Tom Hanks? Here are his other movies. The developer community has provided example data models and queries for a variety of use cases outlined in Neo4j GraphGists. Both datasets are easily accessible using the blue “Write Code” button under the “Jump into Code” section of the guides. Additional datasets We’re working on datasets for a variety of other uses cases. Are you looking for something in particular or have a suggestion? Reach out to devrel@neo4j.com. relationships from the movie “Matrix”. As of version 2.0, indexing was added to Cypher with the introduction of schemas. A big innovation by Neo4j is that it provides programmers with a flexible network structure of nodes and relationships rather than static SQL tables. Cypher is a language akin to SQL. PROTIP: Do not use a semicolon at the end of the statement. execution plan with EXPLAIN and PROFILE. Neo4j is considered among other “NOSQL” database tech that include Key-Value Stores, Column-Family Stores, and Document Databases. But these others use aggregate data models whereas graph databases such as Neo4j work with simple records and complex interactions. Neo4j API allow developers to completely ignore relationship direction when querying the graph. WHERE boss.name = "John Doe"
For many applications, Neo4j offers orders of magnitude performance benefits compared to relational DBs. Click the star icon on the menu to reveal the import area to drag files. Only text files are dropped there, not images of Neo4j databases (.db files). You can import your data from CSV files using the Cypher’s LOAD CSV command. Learn more about import in the Neo4j Developer Manual: Load CSV and Importing CSV Data into Neo4j. APOC (Awesome Procedures on Cypher) are complex implementations that can’t be expressed directly on Cypher. They suppor data integration, graph algorithms, data conversion. PROTIP: Have every cypher query use parameters - as stated in the Neo4j documentation. For large amounts of data, Cypher run time performance may not equal that of Java API coding of traversals and writes. So do massive writes using java api and reads and queries using parameterized Cypher queries. Neo4j provides Native server-side extensions in Java. Additionally, the community has built a wide variety of other drivers in languages like PHP, Ruby, Go, Haskell and more. Neo4j has surrounded itself with a rich ecosphere of visualization and analytics tools. It’s open source query language, OpenCypher, is the most widely used graph query language. Neo4j likely has more documentation that all other graph tools combined. When you run into problems or have questions, you’ll find a large community of users and meetup groups around the world. If you are just getting started with graphs, you can’t go wrong by learning Neo4j. People using graph databases call themselves “Graphistas”. Click the icon at the bottom-left corner among menu icons. Subcribe to Neo4j’s YouTube channel and view videos. http://datadaytexas.com/2018/graphday (@GraphDay) is Saturday, Jan. 27, 2018 in Austin, TX #ddtx18. Ryan Boyd (LinkedIn) a SF-based ex-Googler, now Neo4j Head of Developer Relations. William Lyon (@lyonwj, lyonwj.com) is a software developer at Neo4j, an engineer on the Developer Relations team, he works primarily on integrating Neo4j with other technologies, building demo apps, helping other developers build applications with Neo4j, and writing documentation. Applying an active learning algorithm for entity de-duplication in graph data. BTW in academic communities, relationships are also called “edges” and nodes are called “vertices”. Neo4j graph database introduction was published on January 01, 2018 .